Military Uses For Foam – Part I – Foam Factory, Inc.
For our post on the uses for foam in the military and armed forces, we have decided to break the entry into two separate posts due to its broad range of applications. Foam products serve many purposes, but some of the most overlooked applications of foam materials are in the military and armed forces. The resources required to protect our nation and contribute to global initiatives are substantial, and in many ways, the branches of the military are much like entire communities unto themselves. 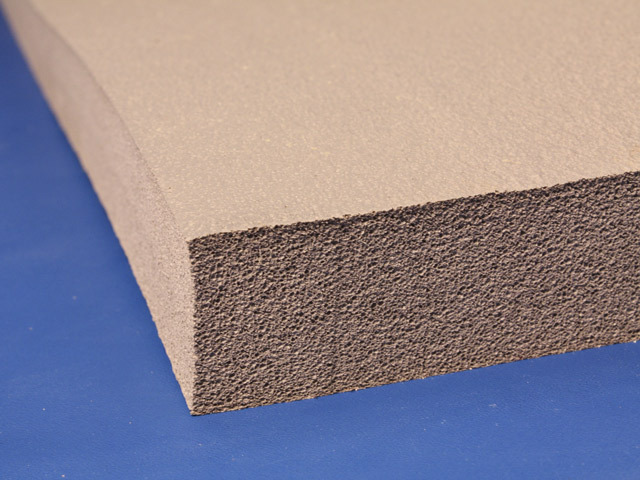 From materials used directly by troops to products contributing to the infrastructure of bases and offices, the practical approach taken by the U.S. military means foam products are optimized to their full range of uses. Foam Factory, Inc. is proud to manufacture and provide materials that can be directly used by any branch of the military. 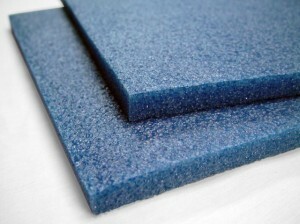 One of the most traditional foam applications is also one of the most vital for the military. Secure packaging ensures that goods and products, imperative to simple activities or the most specialized operations, are delivered safely. Precision instruments, computers, supplies and weaponry all need to be transported across the globe and the potential for arriving in anything less than working order is not an option. Because of the remote locations they are often sent to and the fact that lives may depend on what is arriving, military packaging needs to be as secure as possible. Part of what goes into securing these shipments is polyethylene case foam. A closed-cell foam, polyethylene is a shock absorbing, vibration-dampening material, perfectly suited for the custom packaging of delicate military items. Additionally, polyethylene is shatter-proof, lightweight and flexible, due to its chemically cross-linked molecular structure, making it an excellent army foam. Adding to its usefulness, it is also antimicrobial, inhibiting the growth of mold, mildew and bacteria. Foam Factory stocks this material in a variety of densities, from 1.7 pounds up to 9 pounds, to tailor packaging to specific needs. For specialty packaging, it is available in an anti-static formulation for dissipating potentially damaging electro-static charges and fire retardant polyethylene can be specially ordered as well. For safely transporting firearms, testing materials, computers or repair components, polyethylene case foam inserts are a perfect material for military foam packaging solutions. Another use for polyethylene foam, as well as closed-cell neoprene, is in the testing of safety equipment for service members. The Army utilizes neoprene and polyethylene in the testing of body armor vests for military police forces. The National Institute of Justice’s regulations require foam backing be used behind armor in testing against stabbing strikes from blades or knives. Four thin sheets of neoprene are placed directly behind the armor, followed by a single, thicker sheet of polyethylene over a rubber base. Foam Factory stocks both neoprene and polyethylene materials and has the capability to trim them to any sheet form required, as thin as 1/8 of an inch for neoprene foam and as thick as 2 solid inches for polyethylene. Sheets can be laminated together for greater depth and thicker solid sections are available by special request. Foam is also used to help military members rehabilitate from injuries sustained in service. The Department of Veterans Affairs uses foam materials in the rehabilitation of veterans as floor padding and mats and can also utilize body wedges and bolsters for therapy equipment. Gym rubber, frequently used in floor padding, is available in 4 foot by 8 foot sheets, half sheets in 2 foot by 8 foot strips or 4 foot by 4 foot squares. Featuring three different colors, Foam Factory black gymnastic rubber can be cut from 1/8 of an inch to 2 inches, beige foam in 1-1/4 or 2 inches and gray to 1 inch. These materials can be cut with interlocking edges so sections can be enlarged, shrunk, temporarily installed or moved. In addition to the supportive, shock absorbing gymnastic rubber floor mat, Foam Factory also manufactures body wedges for exercising. Made out of antimicrobial medical foam, these come in two inch height increments from 6 to 16 inches tall. Polyethylene foam cylinders are also useful rehabilitation materials due to their firmness, moisture resistance and antimicrobial qualities. Cylinders can be used as physical therapy supplies for supporting posture during exercise, increasing circulation, and also for balance exercises. These supportive forms are available in diameters from 1-1/2 to 6 inches and lengths of 17, 35 and 70 inches. Click Here to see Part II in our look at foam in the armed forces, including the roles it serves in both the infrastructure and mechanization of our military.